Rajeev Saxena sought bail on medical grounds and told the court that he was suffering from a "heart disease" and "advanced-stage leukaemia". 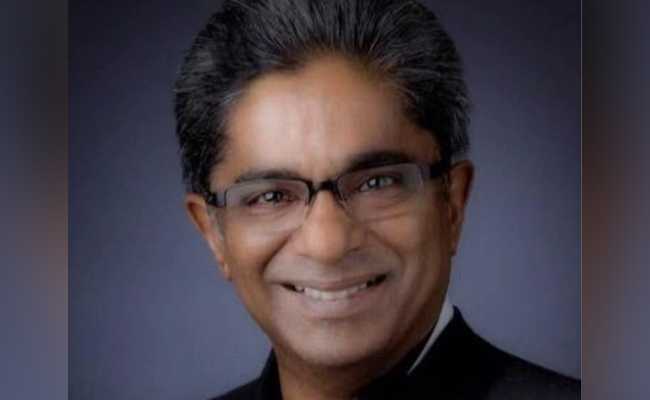 A Delhi court on Tuesday said it would pronounce the order on the bail plea of Rajeev Saxena, arrested in the Rs 3,600-crore AgustaWestland money-laundering case, after perusing his medical report today. Special Judge Arvind Kumar, who sent Saxena to jail till February 18, ordered the AIIMS director to file a report regarding the medical condition of the accused by 2 pm today. Saxena sought bail on medical grounds and told the court that he was suffering from a "heart disease" and "advanced-stage leukaemia". The Enforcement Directorate (ED) did not oppose Saxena's bail plea provided he did not leave Delhi. Saxena, a director of two Dubai-based firms -- UHY Saxena and Matrix Holdings -- said in his bail application that he was an extremely sick person with advanced terminal diseases and had coronary heart disease with four stents in his heart and hypertension. "The present application is being filed in grave urgency, keeping in mind the medical condition of the applicant (Saxena), as any further custody will have grave and irreparable damage on his medical condition, which is fragile, and there is likelihood of contracting other diseases because of his low immunity level," the plea said. "He is suffering from a radiating back pain, numbness and heaviness in legs, neck pain and muscle spasms. He suffers from severe lumbar osteo-discogenic spinal canal stenosis, disc bulge and nerve root irritation, bilateral facet joint osteoarthritis, multi-level disc protrusion and osteoarthritis of cervical facet joints with secondary cervical spinal canal stenosis with suspicion of radiculopathy in his left hand," the bail application said. "Saxena's back condition, which is precarious, has worsened," the plea said. Saxena, who is in custody since January 31, also said when all the other accused in the case, including Gautam Khaitan, Ritu Khaitan, SP Tyagi, and others were out on bail, there could be "no justification" to deny his plea. He is one of the accused named in the charges filed by the Enforcement Directorate in the case. The ED had earlier sought extension of Saxena's custody on the ground that he was required for confronting with Gautam Khaitan, a Delhi-based lawyer and a co-accused, who was earlier arrested in the case and was in the agency's custody in another case. Maintaining that AgustaWestland had paid 58 million euros as kickbacks through two Tunisia-based firms, the ED has alleged that "these companies further siphoned off the said money in the name of consultancy contracts to M/s Interstellar Technologies Limited, Mauritius and others, which were further transferred to M/s UHY Saxena and M/s Matrix Holdings Ltd, Dubai and others". It was alleged by the probe agency that the two Dubai-based firms were the entities "through which the proceeds of crime have been routed and further layered and integrated in buying the immovable properties/shares, among others". On January 1, 2014, India had scrapped the contract with Finmeccanica's British subsidiary AgustaWestland for supplying 12 AW-101 VVIP choppers to the Indian Air force (IAF) over alleged breach of contractual obligations and charges of kickbacks of Rs 423 crore paid by it to secure the deal.